Mien is a filmmaker and trainer by profession. 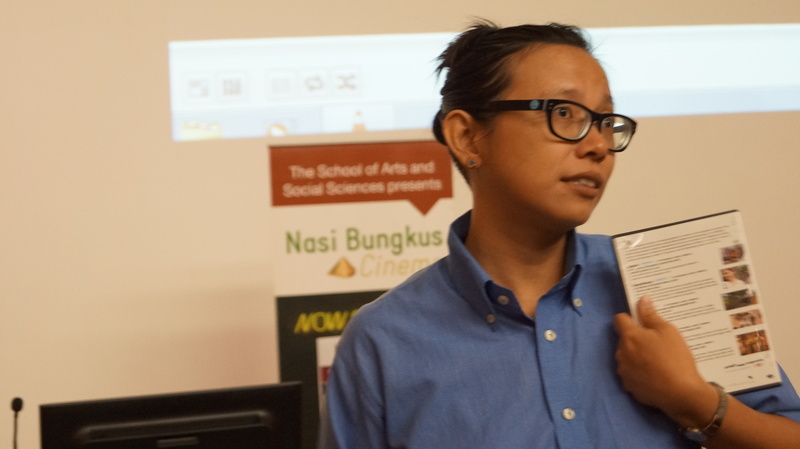 She founded the project HerStory Malaysia in 2010, and made a short film titled Happy Massage for it. She produced, wrote and directed short films, music videos and documentaries since 2005. Her short film Kaulah Yang Aku Mahu (You Are the One I Want) was selected for screening at the San Francisco International Women Film Fest in March 2014. Her work has been screened in IAWRT Asian Womens’ Film Festival 2006 and Films of Desire 2007, both of which were held in India, and Asian HotShots Festival 2008 in Berlin. Mien has also conducted trainings on human rights, gender and sexuality, non-racism and video-making. She previously worked with KOMAS as Programme Coordinator, EngageMedia as South-East Asian Trainer and Coordinator and Women’s Centre for Change, Penang as Communication Officer. She obtained an MA in Gender Studies from Sussex University, UK as a recipient of the Chevening Scholarship in 2010. She currently lectures part-time in UCSI and Monash University, while working on her next video project. For more information please see the Nasi Bungkus Cinema Facebook page: http://www.facebook.com/nasibungkuscinema. Alternatively, you can email Dr Jonathan Driskell (jonathan.driskell@monash.edu).